Bajaj Auto Thursday launched the 2019 edition of its premium motorcycle Dominar 400, priced at Rs 1.74 lakh (ex-showroom Delhi). The new Dominar 400 comes with a liquid cooled 373.3cc engine that delivers significantly higher 40 PS power, up from 35 PS in the previous generation, the company said in a statement. Besides, the latest introduction has advanced technological features with 43 mm upside down (USD) forks which provide a powerful muscular look along with better handling and comfort, it added. Moreover, the new bike also features a distinctive new twin barrel exhaust which produces throaty exhaust note with heavy bass that augments the sports tourer feel, the company said. The 2019 Dominar 400 also has a host of additional innovative offerings, like bungee straps tucked under the seat to help secure gear during long distance touring, redesigned secondary display showing time, gear position, trip information and space craft inspired tank pad decals, it added. "Customers have pushed the bike into extreme long distance and challenging geographies with aplomb, which inspired us to strengthen the sports tourer credentials in the new Dominar," Bajaj Auto President - Motorcycles Sarang Kanade said. 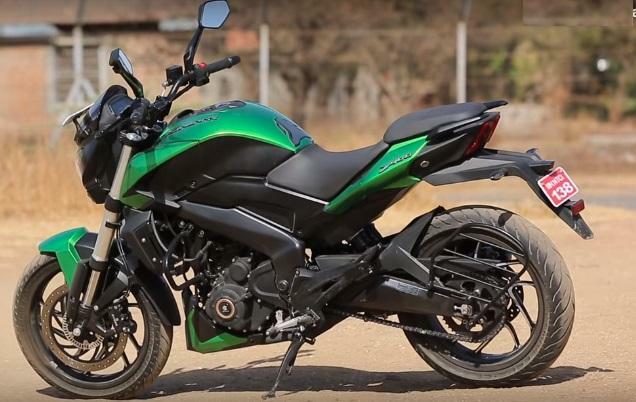 The new Dominar 2019 is now available across all Bajaj auto dealerships in dual-channel ABS variant, the company said.